Done some miles on my Premium Ghosterbusters since I got it a couple of weeks ago. I have something not right in the River Of Slime under the city. 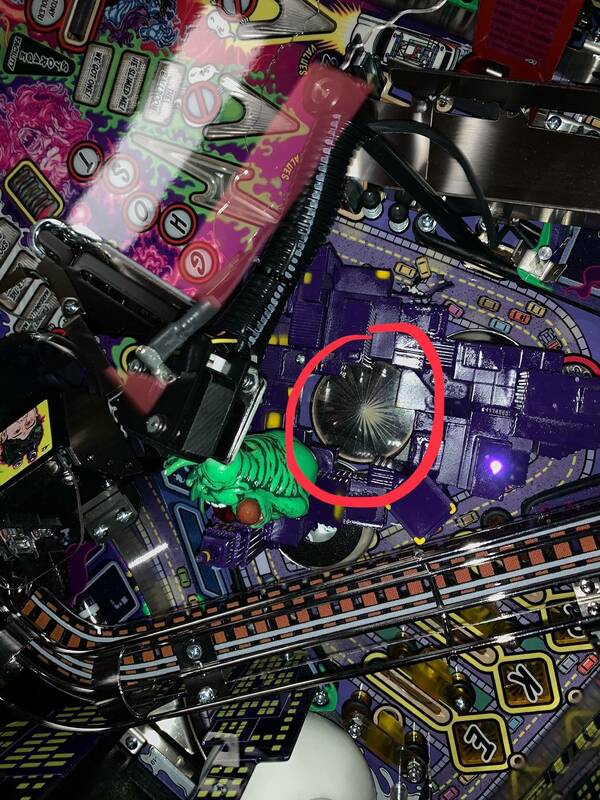 In between the three poppers is a big led flasher and mine isnt working. Actually I cannot remember if its ever gone. 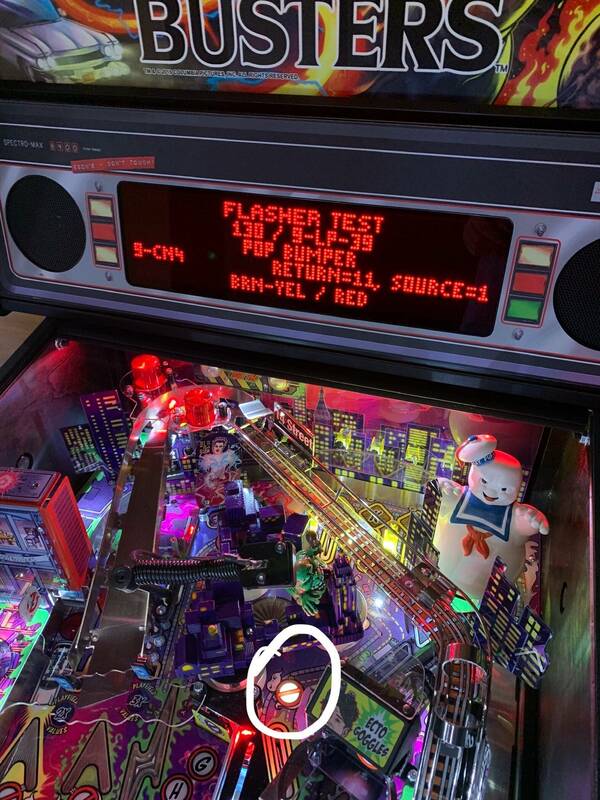 Anyway, I lifted the playfield and swapped the led bulb with another led bulb from the playfield that I new was working and still no joy. My question is this, in the service menu where do I need to be to test just this flasher? Go to Service Menu - Diagnostics - Lamps - Flashers, and find the Pop Bumpers Flasher. That should be it. I might have changed the names of the steps a little because I do not see any game to check if 100% correct at the moment. Hmmm... this is getting a bit strange as on the service menu where you check the flashers I go to item 130 and the river of slime flasher is doing nothing but this little ghost is flashing. And then I go to the single led test menu and I can get the same ghost to flash. Hmmm??? 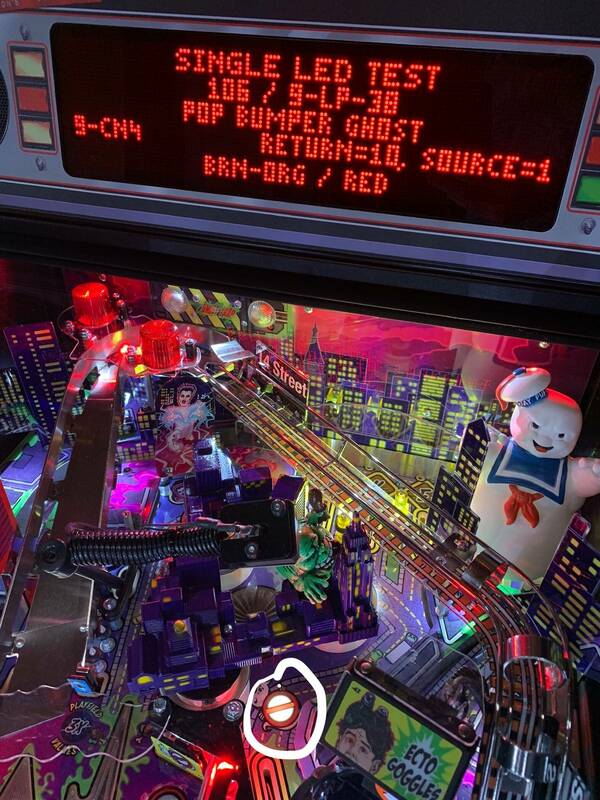 I do not have any ghostbusters at the moment to check how it should work but I think you should check how it looks under the playfield, maybe some wiring is not as it should be. Make sure a 5V Flasher is in there in case a 12V (the more common variety) got put in there. FIXED! Turms out one of the connector plugs had been put on and snagged two pins into one hole from the factory. Bent pin back to position... refitted connector plug and BOOM... all good!